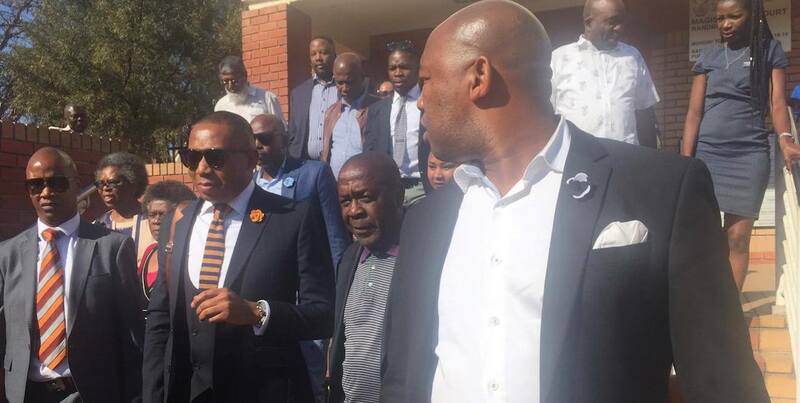 Former deputy minister of higher education Mduduzi Manana has pleaded guilty to three counts of assault with intent to commit grievous bodily harm. Manana was in court on Wednesday on charges relating to the assault of two women at a Fourways nightclub on August 6. In a statement read out by his lawyer, Manana admitted to slapping, punching, kicking and dragging the survivors by the hair. He will be sentenced on November 7. * This story has been updated with additional details. Speaking to the media after the hearing, Manana said he would apologise to the survivors and their families after his sentencing. He said that as part of his bail conditions, he was barred from speaking to them until after the case concluded. Manana came under fire last month after he admitted to assaulting one of the women. He claimed he had been provoked by comments she’d made about his sexuality. Video of the assault circulated online, but Manana only handed himself over to police four days later. He was granted R5 000 bail by the Randburg Magistrates Court. It was another fortnight before Manana, facing growing pressure from the public as well as senior ANC leaders, Manana resigned. He remains a member of parliament. In a dramatic turn, a second suspect from the Fourways attack was arrested in court after one of the victims identified him to police. The man was in court to support Manana. The National Prosecuting Authorityâ€™s Phindi Louw confirmed that a third man had handed himself in to police. The two men have been charged with assault with intent to do grievous bodily harm and will appear at the Randburg Magistrate’s court on Thursday morning. #NotInMyName activists had earlier clashed with Mananaâ€™s supporters in court and accused them of encouraging women abuse. Around 50 students gathered outside the court in support of Manana. The students said they were satisfied with Mananaâ€™s apology, and believed he should be freed, and offered support for his efforts to make amends. Several people wearing DA shirts also gathered to protest against Manana. After the hearing, Manana thanked the students for showing the victims support as well. Manana said women abuse stopped with him and that he would be joining campaigns to end violence against women. Rumana is a senior multimedia journalist who enjoys reporting on queer issues and making memes. Can the Public Protector be removed from office? comrades we all know Manana deserve at least some serious jail time but, will courts of South Africa like a cissy plus allow another selfish male who lack intelligence or/plus verbal skills to manage a condition to subject women to undo physical violence without duly punishing that male. It is punks like Manana I have on occasions physically assaulted in one on one confrontations where we both approved of use of violence. However, issue in this matter is not Manana it is courts of South Africa application of punishment for that offense. Where it do not adhere to strict punishment it encourage commission of that offense by others. Very much sincere, Henry Price Jr. aka Obediah Buntu Il-Khan aka Kankan aka Gue.